With over twenty years experience in design and creation of exquisite jewellery, Crishanthus Angelo founded Chamathka Jewellers in October 2003. 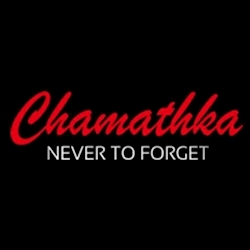 When Chamathka opened its first branch in Battaramulla, there was no fashion trend for silver jewellery. With Chamathka\'s mission to promote silver jewellery as an affordable piece of fashion wear, the Company opened its first flagship showroom in 2006 at Crescat Boulevard.